Posted November 9, 2010 in Brian Shearer, The Enchantress. 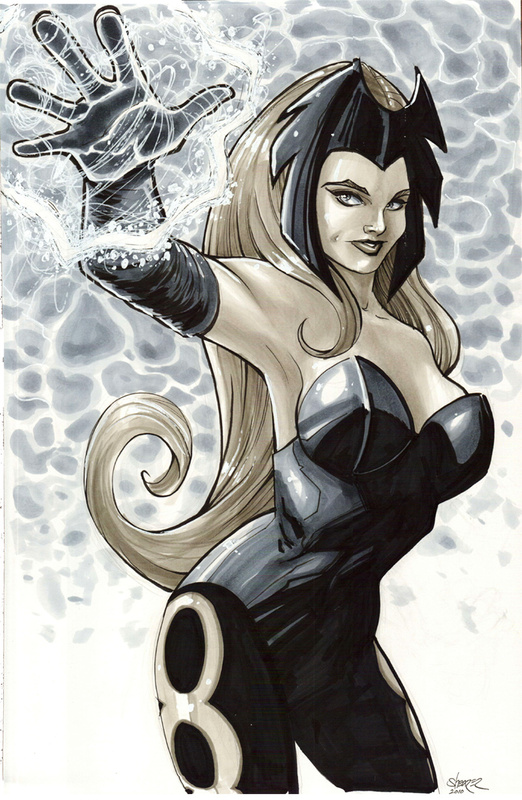 The Enchantress courtesy of Brian Shearer, a recent commission piece in copic marker. Brain’s comic credits include the creator owned GravyBoy, Doctor Who and DC’s Online Universe. In 2008 Brain joined Tsunami Studios where he collaborates on original graphic novels including the on-line comic, Vex. You can find more of Brain’s work at his blog and DeviantArt page.